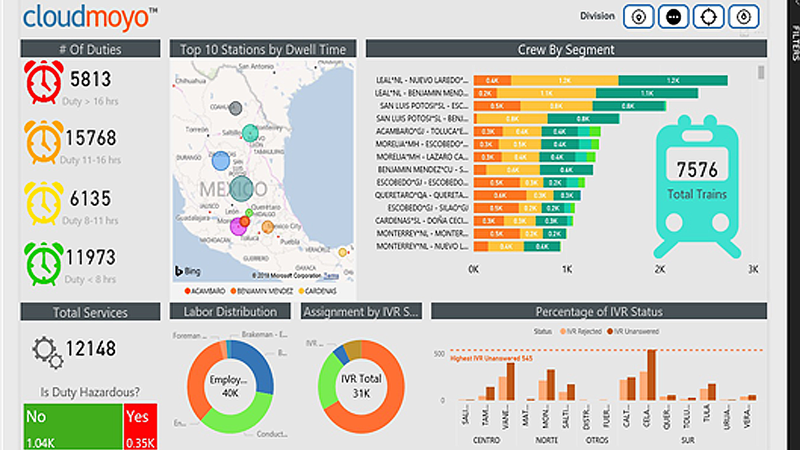 KCS expands CloudMoyo to U.S.
Kansas City Southern announced on March 26 that it will expand the deployment of the CloudMoyo Crew Management tool (CCM) currently used in Mexico on KCSM to its U.S. operations. A Cloud-based crew management system, CCM automates tasks and provides real-time data “to more effectively manage business,” KCS said. It automates train crew supply and demand matching based upon a variety of factors including employee qualifications, hours of service constraints, employee availability and seniority, and crew work notification processes, and calculates payroll activities.